The enthusiastic Priyanka Amar (PGDM –Business Design) is back at the WeSchool after reaching the top ranks in the show UTV Bloomberg – ‘The Pitch’ .The WeSchool entry; project iKheti was selected as the ten best ideas for the business reality show hosted by Rahul Bose and judged by India’s top corporate leaders like R. Gopalkrishnan and Ronnie Screwvala among others. IKheti was conceived by enthusiastic ecopreneurs Aditi Bansal, Janetri Dave & Priyanka Amar of PGDM-BD 2010-12 while brainstorming for D’Magics and that is when they had also hit upon the idea of participating in ‘The Pitch’. Came Phase one- Concept Evaluation, which was an online submission of the B-Plan where out of thousands of entries that had poured in across the country only sixty five were shortlisted and after two grueling rounds of pitching the top ten finalists were selected. The concept of iKheti, the one stop shop for customized services and specialized products to promote sustainable urban farming was not only unique in itself but the detailed planning , its macro –to-micro level impact on society and environment were certainly found very impressive . The all women brigade of WeSchool led by Priyanka, had the distinction of being the only B-School team selected for ‘The Pitch’ and they fought their way through to make it to the top of the contest. The real challenge hit her in the Phase two as it was totally focused on Entrepreneurial Skills Evaluation and the battle had to be fought against seasoned entrepreneurs .During each episode the contestants had to perform more and more challenging tasks given by India’s leading business icons whose presence at the shoot was enough to send shivers down the contestants’ spines. Task one brought the inimitable Ronnie Screwvala, CEO and Founder of UTV Group into the studio , where each contestant had to present the SWOT analysis of his respective business and face the volley of questions fired by him and fellow contestants. And during the next Task, The team lead by Priyanka faced none other than R. Gopalakrishnan, Executive Director, Tata Sons where she was asked to choose three innovative products introduced by Tatas in past decade, need for their introduction, their way forward and also had to present the case in the most innovative manner. During the first task Priyanka was voted as the strongest contestant and gained immunity that meant that she could not be eliminated even if she did not perform well and it was the same fighting spirit of the Welingkars, that she must have instilled in her teammates on ‘The Pitch ‘that earned them the distinction of being the strongest team on the battleground. “The inputs on the design thinking approach and unconditional support by Prof Kaustubh and guidance given by our D’Magics mentors at WeSchool helped us to nurture our idea of urban farming made us sensitive to societal needs and led us on the path of entrepreneurship. Taking iKheti to a national level competition arranged by a leading media house, which is to be viewed by millions of viewers across the globe is a huge challenge and I am all set to take it on because of the academic inputs, training and immense support of my alma mater ” conveyed an excited Priyanka at the end of the second round. And then disaster struck! A nasty fall that nearly dislocated her knee cap brought things to a halt just before her departure to Delhi but the grit and determination of a true Welingkarite refused to take a beating and soon she was on the way to the airport with the help of a crutch. 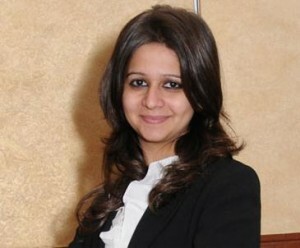 The excruciating pain in her leg refused to ebb and as she was getting ready to face the new challenge, in walked the Bijali brothers, the promoters of PVR Cinema that owns diverse cinema circuits in 20 cities across the country .The judging criteria: ‘Diversification, Branding & Marketing plans to make PVR the number one premium Brand in the retail entertainment industry’. But before beginning the task the contestants had to take a Fam tour of the PVR empire and Priyanka had to walk through its head office, the huge expanse of the luxurious multiplex , the bowling alley and lounge ’ BluO’ before returning to the studio to prepare the strategy for escalating PVR to greater heights . The pain aggravated by the long walk was soon forgotten as she got totally absorbed in the task and sailed through to earn the team the title of the strongest team once again. And before the episode in Delhi could go on air, she was winging her way back to Mumbai and then on to Pune to take on the next set of challenges starting with the one thrown by Rajiv Bajaj, MD Bajaj Auto, followed by Tennis Ace Mahesh Bhupati, MD Globosport -a Celebrity & Sports marketing company , Neeraj Roy, MD & CEO of Hungama Digital Media Entertainment Pvt. 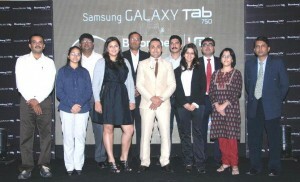 Ltd. And Ranjit Yadav, Country Head, Samsung Mobile. The battle continued in great earnest but was lost on the home ground in Mumbai during the challenge thrown by Master chef Rahul Akerkar, founder of the famous restaurant brand Indigo .So here she is ,voted the strongest contestant throughout the contest for her grit, determination and resilience back on the home ground ! “Creating a community-based infrastructure for urban agriculture is an important socio-economic and environmental activity especially in today’s times when the quality of urban infrastructure is deteriorating and environmental resources are depleting rapidly. Urban Agriculture may have been an informal activity so far, but it brings better health and nutrition, increased income, employment, food security and contributes to social life. iKheti is a unique concept developed by Priyanka and team from WeSchool and according to me the ‘I’ symbolizes looking beyond the clichéd ‘i-me-myself’, it stands for the ‘intention’ of keeping societal needs at the core of their business and to bring benefits to farmers, students, communities and corporates by reducing carbon footprint and improving food quality .It also stands for ‘innovation’ with an eye on eco sustainability. The youth have the added responsibility of saving the planet. Commercial activities and ventures should leave the planet a better, safer and more beautiful place for the generations to come. Innovate but eco sustainability should be the mantra of all our business propositions” said Dr Uday Salunkhe, Group Director-WeSchool while congratulating the homecoming team. Priyanka is already onto her next task of setting the agenda of iKheti in action by meeting likeminded innovators and venture capitalists who have shown interest in her project. So the injured knee is still hurting, the brace is still on but the spirits are high and IKheti is on its way to becoming a reality. ”The experience of participating in ‘The Pitch’ was awesome. 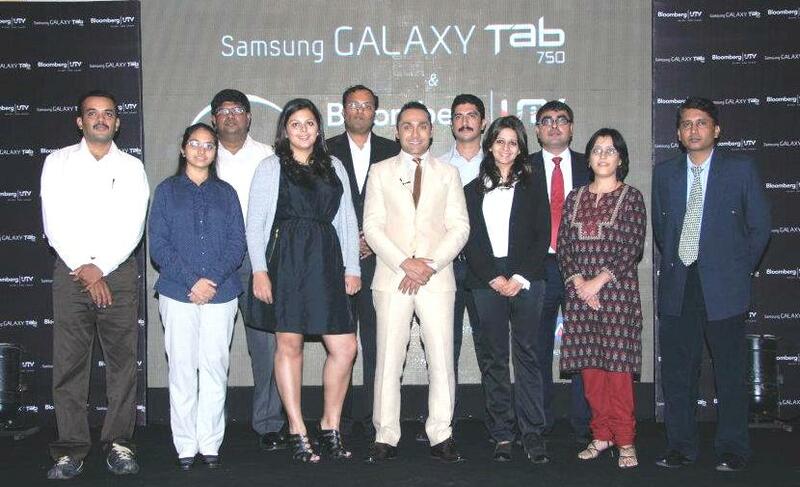 To interact and be challenged by top Indian corporate leaders was a once in a lifetime opportunity for me. And imagine, devising business plans and strategies right there and then in front of those very people who are actually managing those business empires was a daunting task .One had to be creative, innovative and at the same time keep the logical thought processes on the fast track by working within the constraints of parameters given and the current business scenario. ‘The Pitch’ was not just the test of one’s business acumen but also of resilience ,determination and risk taking abilities .Having tried so hard ,who wouldn’t want to win the contest, but the immense exposure iKheti received and the accolades and compliments that came my way during the contest are such big rewards in themselves. And that is not all, the good advice and mentoring will continue to come my way in the times to come “said the young Welingkarite. Congratulations Priyanka, for your Innovation and values of Eco-responsibility and all the best wishes for the venture from all of us at WeSchool !